Donna Owen is the new manager at our New Copford Place care home in Colchester. The home is a purpose-built residential care home with light and airy rooms and several communal areas. Donna has worked in the care industry for 16 years, since she became a care worker at the age of 16. Professional development is very important to Donna and so she became a health and social care teacher, supporting the next generation of carers, a job she did for three years. This passion for nurturing and developing carers is something Donna continues in to care home management. 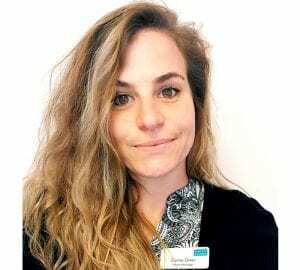 She has a wealth of knowledge, gained during three years in care home management, of what’s needed at all levels to deliver good quality care to our residents. Donna’s vision for New Copford Place is to create a sanctuary for our residents where they are supported to be independent and live the best possible quality of life. New Copford Place is a quaint home set in beautiful surroundings. An aspect of the home Donna thinks is particularly special is that each residential room has its own garden space, which is something residents get great enjoyment out of. Find out more about New Copford Place.